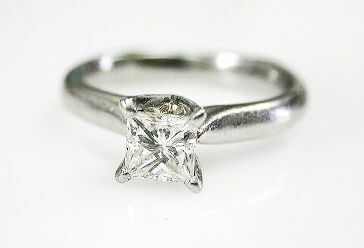 A stunning Canadian platinum ring featuring 1 princess cut diamond, est. 0.54ct (SI1 clarity & G-H colour). The diamond is laser engraved on the girdle with "Eskimo-Maple Leaf CMST-229772B".